So…one of the things that I hate the most about Menieres, is that I am no longer able to drive. I LOVED TO DRIVE! There were times that I was happy that I didn’t have to (usually when I was asleep) but for the most part…I wanted to do the driving. Now, it was recently brought to my attention (from my Mom) that I should appreciate the fact that she and Rene are willing to drive me around…and that I should quit being a backseat driver. And although this is true…there are stories folks! Stories about her driving that would scare a ghost from haunting their own home. And Rene would be the first to admit this. Well…maybe second after me. LOL But I do appreciate the fact that she is willing to drive me everywhere…just like I know that she appreciates me being “The Automatic Warning System” in the car since we can’t afford a fancy one that is like a psychic robot on wheels. Catch You In The Backseat! Now…I know that I snore…. But MAN….does René have a set of pipes on her when she is asleep! And right now…she is using a CPAP machine…so I know that her snoring cannot be helped…So I do feel bad posting the above quote. BUT I LOVE HER NO MATTER WHAT!!!!! Something every man should be lucky enough to tell his wife! Not my wife…their own wife! So….for this Christmas…the Booker Family decided to jump on the bandwagon and do their own version of the Mannequin Challenge. Now…we aren’t talking about trying to be like Andrew McCarthy and bring a Mannequin to life to “get lucky with.” Nope this one is the viral internet trend where people remain frozen in action like mannequins while a moving camera films them. The logistics of doing this with only 5 people and getting us all in was a little hard to do…but I think we pulled it off WONDERFULLY! Hope you enjoy it! Here is a quick excerpt from the video featuring Scott and his Mom! So about 2 years ago….René did a video of me “Driving in Treacherous Weather” which just cracked me up! With me driving in a snow storm…and with her narrating the video…I just about cracked up when she did it!! Now Flash Forward 2 years….and while René is driving in treacherous weather of her own (only this time it was rain)…I decided it was time to make a little video of my own!!! Stay tuned….I am sure there will be more treacherous weather in our forecast!!! 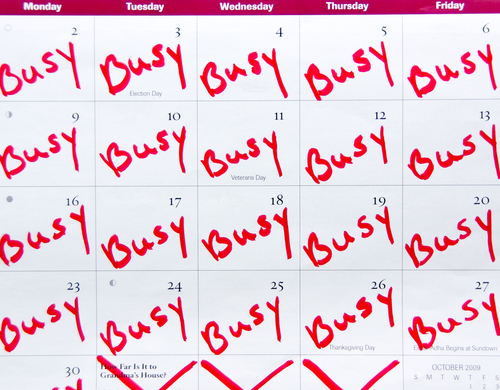 I have been very lackadaisical when it comes to posting on this blog! But I have an excuse!! René and I have been sooooo busy! 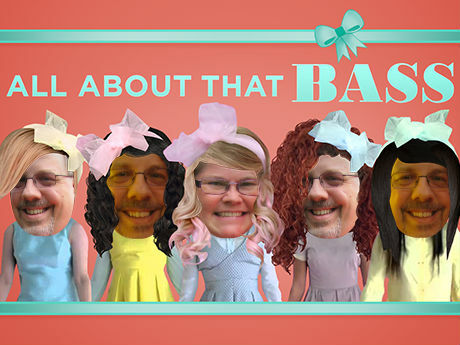 First….we have shooting our own VIDEO for “All About That Bass” that took up seconds…if not minutes of our past few months!! 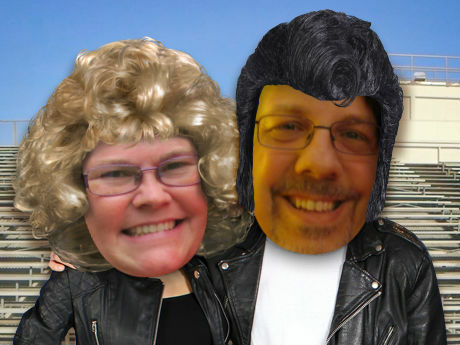 Then….on top of that….we decided to participate in the local theater’s production of GREASE! I mean…come on….it is THE WORD!! And…we scored the LEAD roles! How Cool is that!? 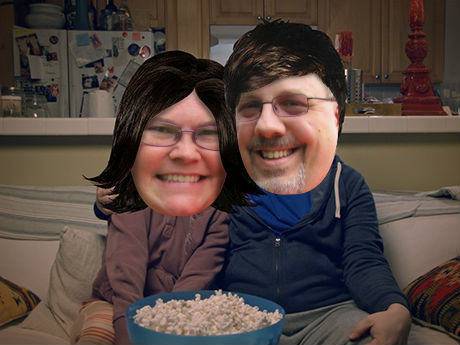 Lastly…with all that going on….we needed to spend some quality time together eating snacks and watching some TV…. Including pictures of the fun time we had this past week-end at the POLAR PLUNGE at Eagle Creek Park in Indy – raising money for Special Olympics! HAVE A HAPPY DAY! You know we are! 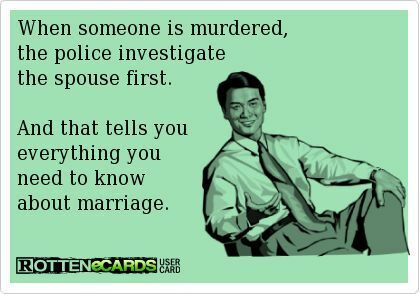 Everything You Need To Know About Marriage…. Everything you need to know about marriage…..
So….for some odd reason….this morning I woke up wondering why Donuts have holes in them. It could be because the majority of my dreams include donuts (don’t judge me) or it could be that I passed a neat little donut shop on my way to work yesterday that I just noticed for the first time ever. “The doughnut didn’t always have a hole! These round, flat, fried cakes were once filled, with soggy centers. At least, that’s the way they were eaten when early Dutch settlers brought them to Colonial America. Then in 1847, a 15-year-old boy, Hanson Crockett Gregory, was in the kitchen of his Rockport, Maine, home watching his mother make these fried cakes. When he asked her why the centers were so soggy and uncooked that they gave him indigestion, she didn’t have the answer for him. So Hanson took some of the uncooked cakes and poked out the centers with a fork. This time when his mother fried them, they were delicious, for the hole let the dough cook more thoroughly, making the cakes much easier to digest. Today, doughnut makers put their dough into special machines that punch out the centers. The dough is then cooked in a vat of boiling oil until it is a puffy, crisp doughnut. And the house in Rockport, Maine, where Hanson Crockett Gregory was born, bears a plaque commemorating the day that a boy invented a hole! Now…this sounds very logical….but I do think that I will go with one of my own theories that I once developed after a very satisfying dream. If you are walking around naked….you can carry two cups of coffee….and a few donuts….all at the same time. 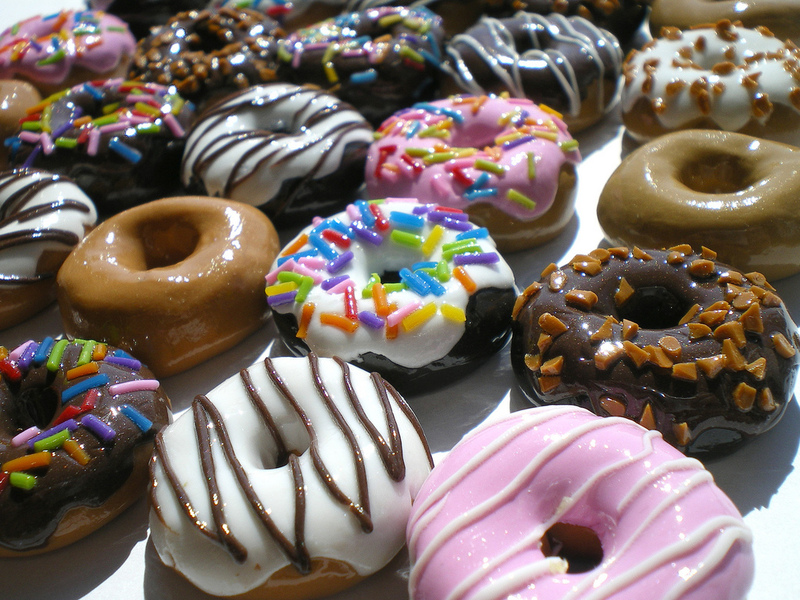 (Ok…maybe just one donut. Like I said though….don ‘t judge me). 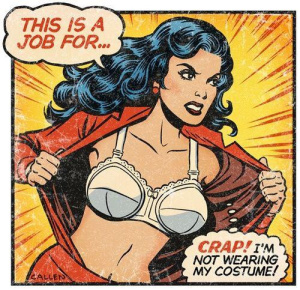 Wonder Woman – or BUST! Came across this the other day….thought I would share it! Just don’t tell the Mrs.